Our gorgeous succulent planter, consisting of an assortment of vibrant succulents cushioned by moss, is ideal for adding a little natural beauty to any room. Bright, bold and eye-catching, it is more robust than a floral display, and just as striking. 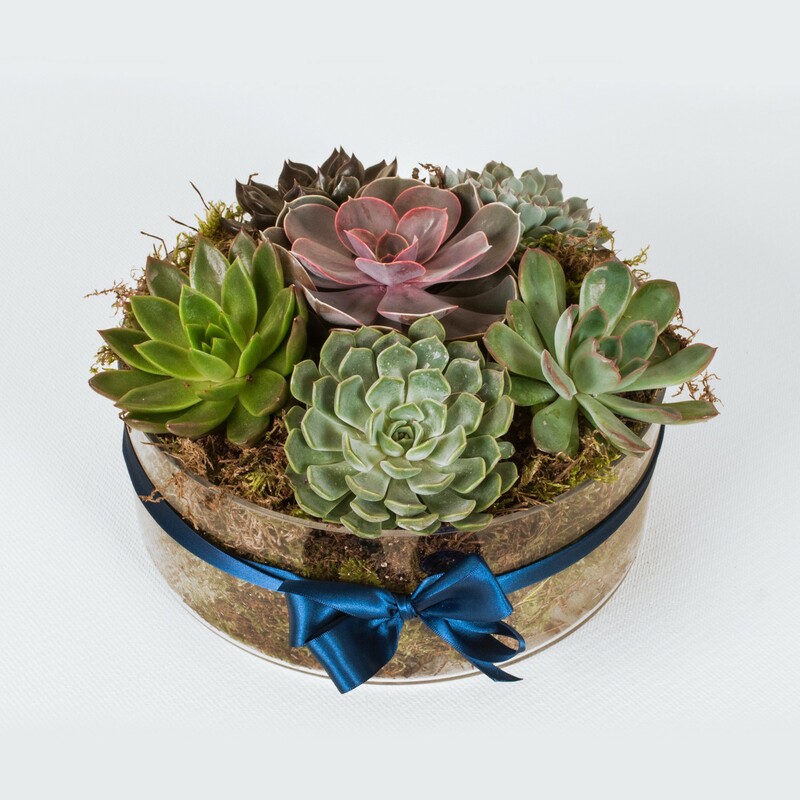 Succulents make ideal gifts as well as the perfect no-fuss arrangement for your home, partly because of how low-maintenance they are. They require very little looking after and yet always create an eye-catching display that perfectly brings the joys of the garden into any room. The circular planter, tied with a peacock blue ribbon, is immediately ready to wow guests!